Last week at network Upfront presentations in New York, The CW president Mark Pedowitz announced that Season 3 of The 100 will premiere in early 2016 rather than the fall of 2015. I am here to reassure fellow fans that there is no reason to panic, because The 100 IS coming back. It takes as long as it takes! The network’s decision to hold Season 3 of The 100 until next year has absolutely nothing to do with whether or not the show will be renewed for a fourth season. The only thing that impacts that particular decision will be ratings. And that is where YOU play an integral role. Trust me when I tell you that the extra months in between seasons are a gift to those involved with the creation of The 100; the writers, casting team, set and costume designers now have the luxury of additional time to craft the best season yet for their dedicated fans. Once Season 3 begins early next year, I guarantee that the frustration you’re feeling now will melt into unadulterated bliss, because you will be treated to all new episodes of The 100 airing consistently and uninterrupted, week after week. Our (Favorite Show) Future, Our Responsibility! Time is our biggest ally right now, and hype and Netflix are our best friends. Season 1 of The 100 is already available to stream on Netflix, and they will likely add Season 2 in the fall. So get out there and PREACH. Strong word-of-mouth does wonders for a show like this, and is exactly why The 100 has gained a tremendous amount of buzz since Season 2 ended in March. Use your vast social media presence to encourage people to catch up with the show, especially now that they have plenty of time to do so. • At dinner, ask someone to pass the salt and start watching The 100. • When tweeting about Orphan Black, mention that you wouldn’t mind a Clarke clone sestra of your own. • If a friend asks you to go on a boat ride, tell her that the only ship you’ll set foot on is the one called Bellarke. • While watching the Weather Channel with your parents, discuss the pros and cons of having a military bunker like Mount Weather in case of an apocalypse. • Ask your boyfriend if he wants to take a trip to (washing)tonDC to see the Lincoln Memorial. • At church, if they bring up Cain and Abel, whisper to a neighboring pew that the tale of Kane and Abby is just as compelling. • Impress your history teacher by bringing up Octavia the Younger (sister of Bellamy). • After your brother’s favorite MLB player hits a Grounder up the middle, ask him if he’s ever thought about living in the woods. • When your girlfriend offers to buy you a new bike, suggest the Lexa model by Trek. When in doubt, just send your friends and family a link to my spoiler-free recommendation to watch The 100 (cough, self-promotion alert). To reiterate: your mission, should you choose to accept it, is to recruit new viewers for The 100. Be creative, be persistent and have fun…because life is about more than just surviving the hiatus! I will be covering The 100 for SciFi Mafia when the show returns next year, deconstructing each new episode with in-depth analysis every week. As always, I encourage your constructive feedback and commentary. You can find me on Twitter @JOpinionated. Please also check out and follow The 100 Charity Project, a charitable endeavor created by Devon Bostick (Jasper on The 100) and Layne Morgan (The 100 Writers’ PA) to inspire fans of the show to make a difference by supporting various causes. 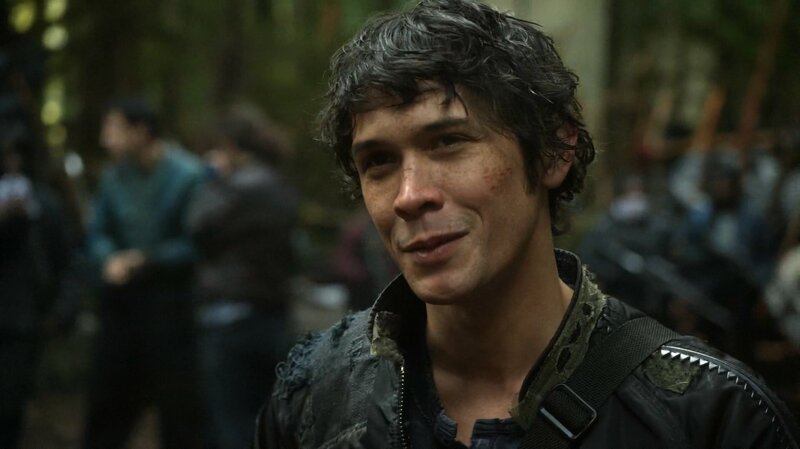 The 100, starring Eliza Taylor, Paige Turco, Thomas McDonell, Marie Avgeropoulos, Bob Morley, Christopher Larkin, Devon Bostick, Isaiah Washington, Ricky Whittle, Lindsey Morgan, Richard Harmon and Henry Ian Cusick, returns for Season 3 in 2016 on The CW.